Jane Greer is Associate Professor of English and Women’s and Gender Studies at the University of Missouri, Kansas City, USA. She is the editor of Girls and Literacy in America (2003), and her scholarship has been published in College English, College Composition and Communication, English Journal, Women’s Studies Quarterly, and numerous edited collections. 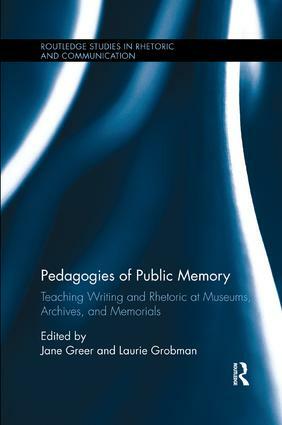 Laurie Grobman is Professor of English and Women's Studies at Pennsylvania State University Berks, USA. She is the 2014 Carnegie Foundation for the Advancement of Teaching Outstanding Baccalaureate Colleges Professor of the Year. Grobman has published two books, Multicultural Hybridity: Transforming American Literary Scholarship and Pedagogy (2007) and Teaching at the Crossroads: Cultures and Critical Perspectives in Literature by Women of Color (2001), and edited Undergraduate Research in English Studies (2010) and On Location: Theory and Practice in Classroom-Based Writing Tutoring (2005).